If you’re a homeowner living in Texas, you will agree with me that you’d feel powerless and caught off guard when your bank sends you a notice of default. If you are going through a foreclosure and government loan modification program is unavailable, you will have very limited options to stop a foreclosure. A foreclosure means that your home will be taken away by the bank. All homeowners can do anything to stop such an occurrence because it is a threat of losing a family home. Many homeowners will do anything to save their family home from foreclosure. Bankruptcy is actually one of the last things a homeowner could file. Most homeowners don’t know the problems or pitfalls of filing bankruptcy to stop a foreclosure. There are many problems of using bankruptcy to stop a foreclosure. One of the reasons why most homeowners opt to file bankruptcy is due to misconception associated with it. Misinformation had made most homeowners file for bankruptcy. Most of the assumptions made about bankruptcy are untrue. One of the misconceptions is that bankruptcy will stop the process of foreclosure completely. This is very untrue. 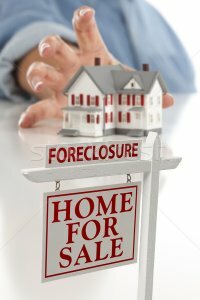 Even though bankruptcy will buy some time during the foreclosure, it will not be a permanent foreclosure solution. This means that you will finally have to pay. order prevents lenders to sell your home fast. What many homeowners don’t know is that a mortgage company can file a relief from stay. This will be very bad for the homeowner especially if he/she has stopped making the mortgage payments. 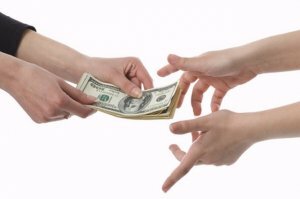 If the court grants the motion, the lender will continue with the foreclosure process unless the homeowner continues to make the payments. Filing for bankruptcy is not a reliable or convenient method to stop a foreclosure. Another common misconception that most people make is that they will not pay back the loan after the bankruptcy has been approved. Most homeowners will file for bankruptcy so as to obtain a discharge or set them free from personal liability such as house debt. It is important to note that the foreclosure bankruptcy does not guarantee immunity. Filing for bankruptcy can make you stop making the mortgage payment with the hope of getting immunity; this is terrible because a mortgage company will file for a relief and if the motion is approved/granted, your home will be sold. It is very important to note that foreclosure bankruptcy interpretations differ between chapters. When you are filing for chapter seven, a lender has the right or an option to object the ruling during the 4 months grace period. The lender can file a motion aiming to dismiss the case for some reasons; this will force the borrower/homeowner to pay all the missed mortgage payments as they/lender continues the foreclosure process. period the borrower/homeowner is vulnerable to foreclosure. It is very important for all homeowners to know that even if they are not personally liable for the debt if a bank discharge is granted, the mortgage company reserves the right to foreclose if the homeowner is not making the payments. You should never count on a foreclosure bankruptcy discharge to protect you from foreclosure. and your house is facing a foreclosure process, it is important to know your options. If the mortgage company sells your house, you will lose both the house and all the payments made thought-out the period. money to either purchase another house or request for another mortgage loan. We can buy your house and make it possible for you to make the remaining payment. It is also important to note that your reputation is very important. If you have a good financial reputation, the mortgage company will be able to give you another mortgage. Our offers a fair and we are so willing to make an all-cash offer. If you live in San Antonio are you are looking for cash home buyers, you should not worry again, we can buy your house and have you pay for the remaining debt and then reapply for another mortgage or invest elsewhere. filing a bankruptcy case. These new additions are very costly to a homeowner seeking a speedy foreclosure solution. Another major problem of using bankruptcy to stop a foreclosure is the taxes aligned with the selling process. As a homeowner, you should be wary of the additional funds in filing a bankruptcy especially if you are aiming at saving your home from foreclosure/being sold. require the homeowner to pay high taxes as soon as the debt is forgiven. If your main aim is keeping your home, filing for bankruptcy will not be a solution. The process is time-consuming, and the laws are constantly changing. The foreclosure taxes can be very brutal to the homeowner’s wallet. Instead of relying on foreclosure bankruptcy discharge, borrowers are advised to explore other alternatives like selling their house to online cash home buyers every time they are facing a foreclosure. WE BUY HOUSES IN SAN ANTONIO in whatever condition it is in! Call us at (210) 547-7505 to know how much we can offer!